While there are many teenage mothers who never enter any social welfare system, others do not have the supports that they need to make it on their own. Many teenage mothers are not necessarily able to remain at home with their parents, either for reasons of overcrowding in the home, abuse and neglect, or financial difficulty. They may not have family, friends, or other resources available that enable them to meet the basic needs for themselves or their children. Teenage mothers who are unable to live at home with their families are vulnerable on many fronts. They encounter all of the demands of parenting and being a teen, and are often faced with the additional need for stable housing. Without other supports, these teenage mothers are likely to experience periods of homelessness, spend time in foster care, or rely on welfare for assistance. Younger teenage mothers may face additional challenges as a result of their age. These young mothers may experience difficulty finding a place in which to live with their children. For instance, homeless shelters, battered women’s shelters and transitional living programs may not always accept teenagers who are under the age of 17, nor do these programs generally accept young children. Further, placement in foster care does not always ensure that the mother and child will remain together—the placement of both the teenage mother and her child together is contingent on the availability of a trained foster care provider or group home that is willing to take both the teen and her child. Young mothers who are homeless come up against many of the same hurdles as young mothers in foster care, including poverty, barriers to education and other supports. Their primary need is housing, and this is where Aramis Place will provide the assistance that these young mothers need. 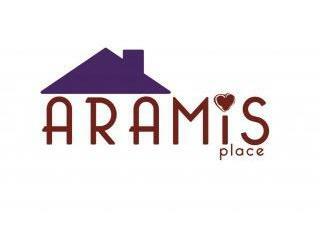 Aramis Place provide custodial parents under the age of 19 and their children with a supportive and supervised living arrangement in which such parents would be required to learn parenting skills, including cooking, counseling, child development, family budgeting, health and nutrition, and other skills to promote their long-term economic independence and the well-being of their children." When you donate money to Aramis Place you create opportunities for these teen mothers that they may not have had without a resource as such. Sometimes all you need is someone or something to change the trajectory of your life. Continue on creating a way for those who can’t create a way for themselves!! You were created for good works and this is a good work! I know this has been a dream of yours I am happy to see you begin the journey! This is AWESOME. I support your vision and pray the young women that you encounter! Stay focused and be ready for what God has already lined up for you. It's already done.